I have the white model, and I've seen it available in Tiffany Blue, Red, and Black. Some of the finishes appear to be glossy, but mine is matte. From the top down, there is a black plastic plate with a cutout for either the telescoping drip tip or the 510 adapter. The top is secured with 3 small Philips screws, and has the Movkin logo screenprinted on it. Beneath that is the vaguely Reuleaux shaped body. The curved side is mostly the tank cover. it is held in place by four magnets (two in each of the top corners, and two in each of the bottom corners). The magnets are small, but pretty powerful. I have been able to dangle my mod (see that weight, again) with batteries, and a full tank, and not have it come apart. If the mod is jarred while dangling from the door, the door will detach. There are small divots in the body to allow easy grippage and removal of the door. The door has three large slots, cut in a chevron pattern to allow for air. They are stepped in size, but as the door is 100% flippable, I can't say whether the larger chevron is at the top or the bottom. For more air, or less air, or to better line up the air with the air on the tank, flip the door. On the other sides of the mod, we have, at bottom, a couple of cutouts and holes for ventilation. The control surface consists of a beveled plastic fire button with a flower pattern of seven holes in the face presumable to make the fire button easier to locate by feel. Beneath that is a .91" OLED screen that is pretty blue in color and can be hard to read in direct sunlight. The layout here is very familiar. A battery indicator, a stack displaying resistance, voltage, and wattage (in TC modes) or just the word WATT in Power mode, and finally, larger, the wattage or temperature. Trailing the large temperature, there are two smaller digits indicating what TC mode has been selected. Another two, smaller buttons with the same flower texturing are situated beneath the screen. They are not labeled, but are logical with the up button on top and the down button below. Beneath all of that, we find another black plastic panel. The panel on the base is divided into three sections. The first section is secured with another three small Philips screws and has "Designed by Movkin" screenprinted. Then a hinged battery door, not unlike the door on the Dripbox 160, however, on the inside of the door, along with polarity indicators, we have MUCH beefier contacts. The spring loading is still at the top of the compartment. The battery door does not close quite 100, but it closes a little tighter than the Kanger door. 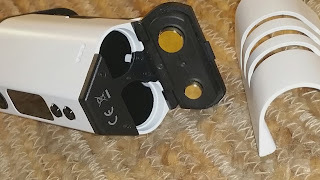 The batteries do not rattle when installed, but they do not get stuck, either. The final section of the base is secured with two more screws and has a couple warning/certifications screenprinted. What is lacking is a MicroUSB port... There is no charging and no upgrading this device. Thus far, I've found the fit and finish of the mod to be quite good. There are no significant gaps, ledges, or overhangs. After three months, there are no scratched to be seen on the exterior (I do baby my mods a bit, though). In fact, the only problem I've found with the fit is the fire button... It did stick just once when I pressed it at a bit of an angle. The only other issue I've come across thus far is with the plastic plate at the top... once, I heard an ominous cracking sound when I applied a little pressure there the remove a tank. I see no cracks, but it scared me a bit and makes me think something a bit sturdier might have been better, there. The device's claim to fame is the compartment that houses up to a 25 mm tank behind a slotted guard door that is held in place with magnets. 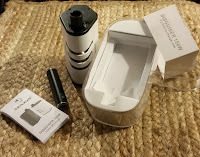 Movkin makes a squonk kit for the mod that replaces the slotted door with a holed door, and covers the 510 with an adapter that routes power behind the included bottle up to another 510 for bottom feeding atomizers. Movkin also makes an RTA that features a screw up top so it can easily be filled without removing the RTA from the device. 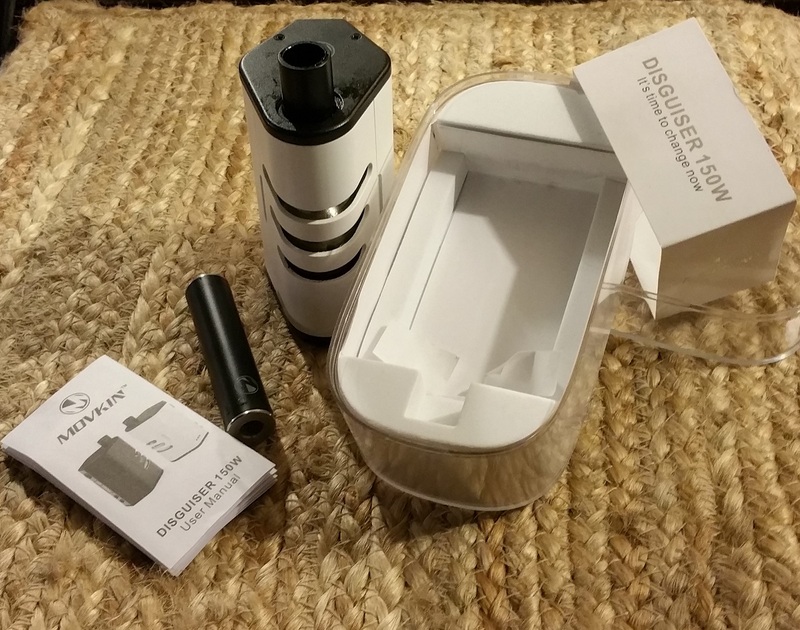 I will admit that I bought this device with an eye to the squonk kit, but once I saw that installing it required surgery, I decided to forgo that kit and get the Kanger Dripbox 160 instead. I still have my eye on the RTA, but the tank I have in it right now works fine. What tank? 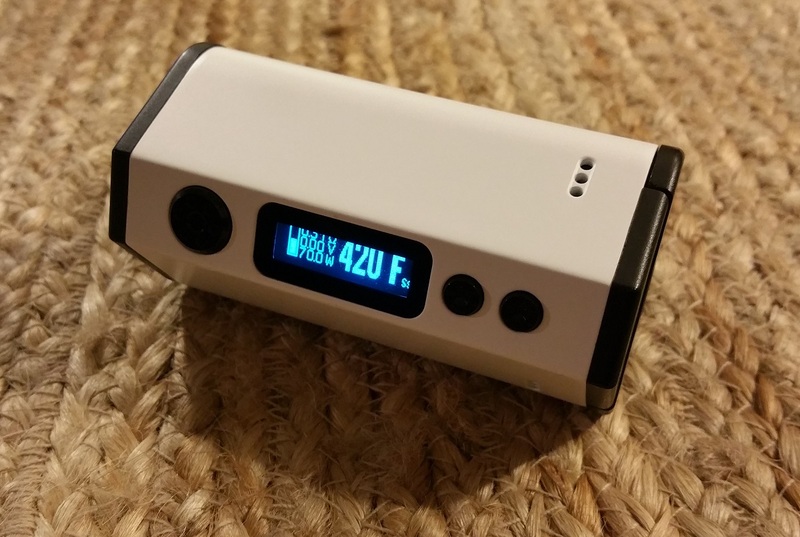 I am using the Ehpro Billow V3. It has the same fill method as the OBS line of tanks... a pop top that reveals a slot. I gotta say I love this fill method because I have this fear of dropping whatever cap I have to remove and losing it, rendering the tank unusable. It also let's me pivot the fill port to front and center, pop the top, fill the tank, and seal it up without removing the tank from the device. The device also comes with a 510 stem, for lack of a better term, that allows the mod to be used with RDAs as it brings the 510 to the top of the mod. Along with that 510 adapter, there is a 510 drip tip adapter that telescopes out. 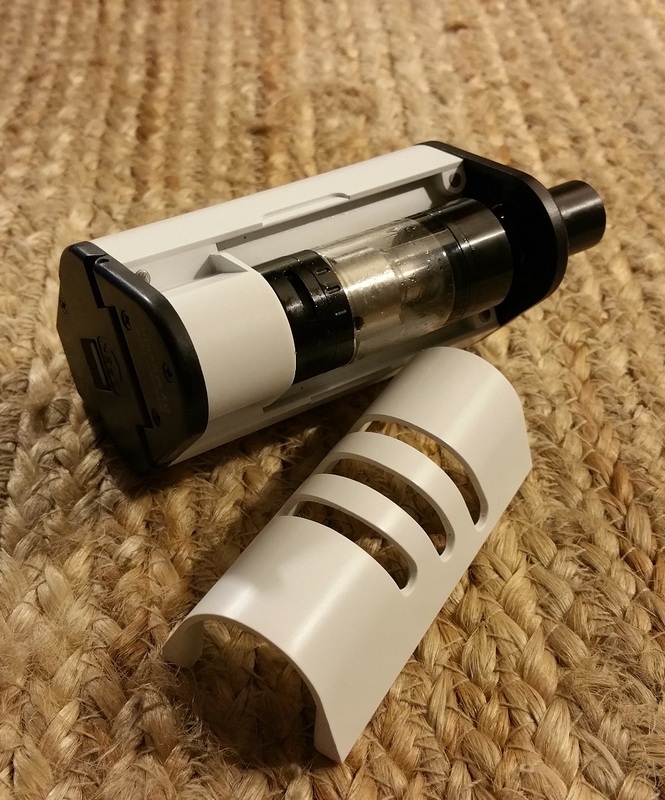 Insert that drip tip in any 510 compatible drip tip receptacle and twist to get it as long as needed. The interior of the telescoping drip tip is also 510 sized, so some drip tips could be stacked if additional length is needed. I've had the device for about 3 months now, and in that time, I ran several different RTAs in the mod before settling on the Billow V3. Although Movkin says that it will hold up to 25 mm tanks (and it will), many 25 mm tanks are actually larger than 25 mm (airflow protuberances or belled glass can get in the way). I've only run an RTA once for testing (see the video). Those tests involved attaching the RDA, installing a .26 Ohm coil, attaching test leads to the positive and negative posts, running the wattage all the way up to 150, and recording the voltage on a multimeter. The figures were then plugged into an Ohm's Law calculator (Vape Tool Pro on my Samsung Galaxy Note 4) to determine the device's accuracy. The result? 5.98 volts on a .26 Ohm coil yields 137.54 Watts. Well within the 10% limit PBusardo has set for a pass/fail, and higher than I would have anticipated with a long 510 adapter (voltage drop?) installed. I also installed a .13 Ohm Ni200 coil and fired it in Ni200 TC mode with the thermometer attached. The device appears to be running a little cool, with 420 F only reaching 390 F. Still, not too bad... no burned wick. I did not run the temperature test in Ti#1, SS, or CC modes, but I have been vaping almost exclusively using SS TC in the Billow V3 and, aside from some very mild pulsing, have had no issues. The battery life when using this device is pretty good. I can get a solid day out of a set of LG HG2s or Samsung 25Rs. This is due, in part, to the fact that the device powers off if left unused for around 30 minutes. At first is was a bit of an annoyance, but after a while, I've just learned to check before I vape. If breaking tanks is a problem, this might be a great solution. If a largish, not terribly portable mod is desired, this would fit the bill. Honestly, aside from the size and weight, I can find nothing that would prevent me from recommending this device. At $33, it's a steal!